Well, for better or for worse, I don’t have any formal background in math or science. I started out with a degree in history, followed by a masters in journalism. Then I worked at the National Post in Toronto, as an intern and a reporter and features writer. The Post was Conrad Black’s paper, and in order to avoid doing some of the capital ‘C’ conservative and capital ‘H’ hair-brained stories my new editors liked to assign, I realized it was always a good idea to have a stash of my own stories in the works. One such story featured the Archimedes palimpsest, which was auctioned off at Christie’s and underwent restoration at the Walters Art Museum in Baltimore circa 2000. Working on that piece brought me back to my passion for math and science — in high school I’d taken all the math and science courses I could (though oddly enough, math was my worst subject by far), as well as all the arts course, and then I flipped a coin and did my BAH. So Archimedes brought about a reunification of the arts and sciences in my approach to writing. 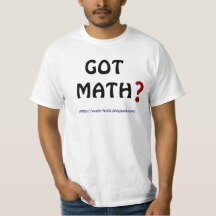 At the Post I started looking for other mathy stories. I Googled “Toronto geometer” and the search results came up all Coxeter — the great classical geometer Donald Coxeter, who was then 93. I wrote a feature for the newspaper on Coxeter, followed by a magazine profile, and then I sold the Coxeter biography, which was my first book. That’s how I began freelancing, on the coattails of Donald Coxeter. 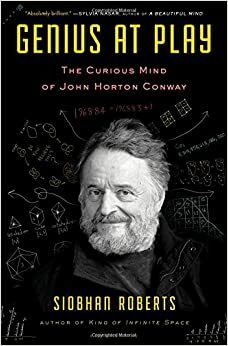 2) You've written three biographies, of engineer Alan Davenport, famed-geometer Coxeter, and now John Conway... how did you happen to choose those three brilliant figures; is there a common thread between them? Inadvertently, so to speak, one common thread is that all three men went to Cambridge. But it was Coxeter, of course, who led me to Conway. And Conway pushed me down the rabbit hole. As the New Yorker writer Kathryn Schulz noted in her recent piece about falling down rabbit holes: “In its most purely Carrollian sense… to fall down a rabbit hole means to stumble into a bizarre and disorienting alternate reality.” Hanging out with Conway for several years certainly was bizarre at times, and often disorienting, but also huge fun. ...Wow, I didn't realize you were 'hanging out with him for several years' -- what a great stint! 3) Do you have another biographical subject in mind to do next, or more generally, another topic already lined up to write a book about? And a just-for-fun question: if you could go back in time to meet and talk with (and perhaps write a biography of), any famous deceased mathematician, who might be your first choice? I do have a few ideas percolating, but nothing I’m committing to yet. As for someone I’d like to travel back in time and talk to, my first thought is a trip not too far back to say 'Hello' to John Nash. He was around and about at the Princeton math department while I was working on Conway’s biography. He’d saunter through the common room, always looking dapper and genial, I thought. He’d peer over to see what we were up to squirreled away in an alcove. Conway would extend his greetings and I’d nod his way. But I never got up the nerve to introduce myself and ask him a few questions. 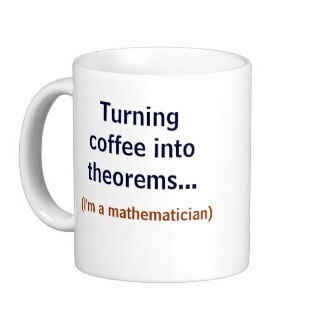 4) Over time you've interviewed many top-notch mathematicians [see HERE], who work in technical areas you may not fully grasp... is it at all intimidating for you to sit and chat with such individuals, or does the thrill of speaking with them easily trump any such intimidation? And more particularly, I'm sure readers would enjoy briefly hearing what your time spent with John Conway was like? I once asked Conway’s good Cambridge friend Mike Guy what it was like to work with Conway, and he summed it up best: “Crazy!” Though all the craziness proved to be good fodder. Conway was extremely generous with this time in helping me grasp the more technical details, or at least get the general gist of things. Conway loves to talk, he loves to tell his vast repertoire of tales, and he is a consummate explainer. So he was the perfect subject. I don’t think I am intimidated by my ignorance in the face of top-notch expertise so much as I’m shameless. I throw myself on the mercy of the court. I ask a lot of (ostensibly stupid) questions. And many of the questions I ask many, many, many times. I circle around things until I’ve got a semi-coherent intuitive understanding. At least that is how it feels to me. Then I go back and fact-check, and correct all the nuances that I inevitably got wrong. 5) Who, are your own favorite science/math authors to read? Right now I’m loving The Thrilling Adventures of Lovelace and Babbage: The (Mostly) True Story of the First Computer by Sydney Padua. Freeman Dyson’s Disturbing the Universe is a classic that I like revisiting —Dyson is a master of simple elegant writing. Ditto James Gleick — I’m looking forward to his next book, about time travel. Thanks for the heads-up about Gleick's next book, and Dyson is actually an incredibly fascinating figure for a biography himself (I'm aware of one bio already out on him). 6) If someone is not familiar with your writing are there a few Web-accessible pieces you'd recommend to anyone wishing to sample your work? 7) To round yourself out a bit, when you're not researching/writing sciency-stuff, what are some of your other main interests/hobbies/activities? I read, mostly fiction. At the moment I’m on a David Mitchell jag —I started with his new book, The Bone Clocks, and then Black Swan Green, and now I’m wading into Cloud Atlas. I also like reading cookbooks (Nigel Slater, David Lebovitz, Gabrielle Hamilton). And because I like cooking and I sit around writing so much, I run, and I do yoga to purge the angst. 8) Will end with a freebie for you ;-)... What would you like readers to know about your upcoming Conway biography, that you haven't already said above? And will you be doing a book tour? Indeed, there shall be a book tour! In two parts. For the summer I’ll be on the math train, doing the conference circuit: Bridges in Baltimore, MoMATH MOVES in NYC, and MathFest in Washington, D.C., and then Conway and I are topping it off with a joint talk at NYC Google headquarters, where I’ll interview him on the subject of why he hates the Game of Life (it’s a love/hate thing, depending on his mood). In the fall, when school’s back in session, I’ll launch the book officially at Ben McNally Books in Toronto, followed by Princeton (details TBA), as well as an alumni panel talk with Gary Giddins at the Leon Levy Center for Biography, in October back in New York City. And I’m hoping to make it to Michele Emmer’s Mathematics & Culture conference next March in Venice. Since it took more than a lustrum (to borrow one of Conway’s favorite words) to write Genius At Play, I figure the “book tour” can drag on for a while. I suspect "Genius At Play" will be one of the most heralded/covered math-related books of the entire year -- you've picked a topic that can't miss! Thanks for giving us a little insight into it, Siobhan, and have a super book tour. Have a great weekend and come back here on Monday when I'll be chatting with Siobhan Roberts (well, chatting via cyberspace that is: Math-Frolic Interview #33). If you don't already know who Siobhan is, I think you'll be seeing her name a lot in coming months. 10) Will just note that one of my favorite 2015 books, "Single Digits" (by Marc Chamberland), which I reviewed back in March, is just this month showing up widely in bookstores. c) I received a review copy of "Creating Symmetry" by Frank Farris, a beautifully-presented volume for anyone trained in math with a special interest in symmetry (especially as it relates to art). At first glance it looks like a coffee-table book (a category I'm not fond of) -- large, square-ish, glossy, but upon opening, it includes more detailed, creative text than pictures and is packed with significant mathematics (of 17 possible wallpaper types and beyond). This is NOT a volume for a general audience, but for those well-trained in math with a special interest in symmetry (a topic that interests a LOT of math fans). The book has all the usual Princeton University Press polish, and for selected individuals will be a nice addition to their shelf. Talking about the new ideas Fuchs ends with, "It might take us 25 years to get the mathematics right, but in 25 years let’s have this conversation again!"